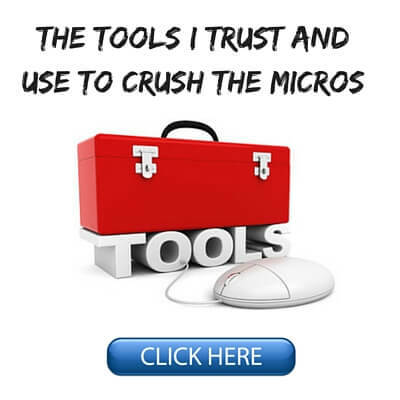 As I continue to work away on Modern Small Stakes I have developed a deeper understanding than ever about the multitude of different regs that populate the micro and small stakes levels of online poker these days. I refer to 1, 2 and 3 as the "bad regs" and 4, 5 and 6 as the "good regs." However, with the LAG category I was certainly a bit hesitant to include them as good regs because many of them have huge leaks at these stakes as well. TAGs and SLAGs are generally fairly solid and among the biggest winners although you can almost always still find ways to exploit them as well if you dig around deep enough. Keep in mind that these are just generalizations. There are plenty of Nits for instance at these stakes who are solid winners. As a whole though, most of them are not big winners and are often breakeven or losing and propped up by rakeback. This is even more the case for the Super Nits and TAGfish. They are almost never big winners and without rakeback they could not survive. On the flip side, there are certainly many breakeven or worse TAGs and SLAGs as well. There are factors such as tilt that the HUD stats cannot tell us about that can affect the winrate of an otherwise solid looking player in a huge way. But in general these players represent the strongest opponents at these stakes. They are the ones who you will have the most difficulty exploiting. Totally obvious fish (the 40%+ VPIP guys) have become harder to find at NL10+ unless you are playing on the right poker sites. Therefore, the bad regs really are the new fish at a lot of the harder sites like Pokerstars. The great thing is that they out number the good regs by a fair margin at these stakes so it is not that difficult to find them. By using a combination of my new HUD setup and making liberal use of the popup display I am able to find ways to exploit them pretty easily. 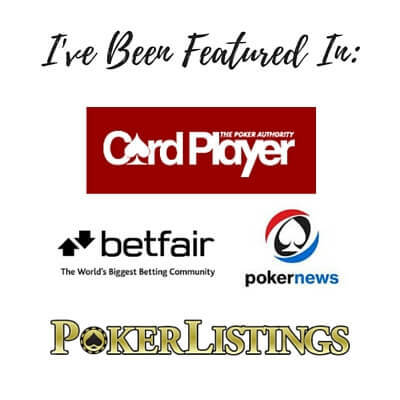 But in the fast paced world of online poker which often involves 12+ tables at a time we don't usually have much time to check out every single little detail on our opponent. For this reason I am going to limit the discussion below to just the use of my HUD display (i.e., what is already on your screen). If you have not read my article on my new HUD setup which includes free downloads for Pokertracker 4 users it might be a good idea to at least skim it first so you know what the numbers refer to. I will also be limiting the discussion to just the HUD stats because I want to show you how ridiculously easy it is to find huge leaks in your opponents at these stakes literally in a matter of seconds. I am going to discuss all six reg categories below but I will use just a single example from either 6max or Full Ring for each so that this article does not get too long. All stats below are taken from real people in my database at NL25-NL100 cash games on Pokerstars. The player names are masked in PT4 for privacy. Lastly, many of the stats that I discuss below, especially the turn, river and 4Bet ones, require big samples. You need to check the sample size before making use of these at the tables. I am not a statistician but common sense tells us that if your opponent's Turn CBet is 100% but the sample is only 1 that this is literally meaningless information. If the sample size was say 10, well now we are talking. When in doubt hover over the stat in PT/HEM or make use of the popup display. You should always be doing this when making use of turn, river or 4Bet stats unless the sample on your opponent is literally like 10k+ hands. There are tons of these kinds of players at NL2 and NL5. At NL10-NL100 there are less but enough of to still include a category for them. They are clueless beginners. Somebody on a forum, in a book or in a video told them to play tight and they took that as the holy gospel. They play far too few hands and throw away tons of potential EV as a result. We can see that this particular player above has stats that are too tight for Full Ring let alone 6max. He plays just 12% of his hands. I suggest aiming for about double this in 6max. And he only raises with 8%. I suggest having a little bit tighter of a gap between VPIP and PFR and of course raising with way more hands in general. These players are generally way too passive as well. The 4 point gap between VPIP and PFR, the Total AF of 2 which is actually ridiculously passive considering how few hands this guy plays, the 4Bet of 0 over a decent sample size etc. So here we have the classic Full Ring Nit. He plays 12% of his hands and raises most of the time that he enters the pot as well (10%). His Total AF is 2 which is fairly passive but considering how few hands these players play, it is really passive. These players tend to be way too weak just like the Super Nits. They fold to CBets and 3Bets too much, they don't 3Bet enough, they don't 4Bet enough and they often back down to floats and additional pressure beyond the flop if they don't have the nuts. The TAGfish is aptly named because it is a player who appears to play a solid TAG game but is actually very weak both preflop and postflop. This player type is pervasive at all levels of the micros and you can make a nice profit by applying pressure on them in the right spots. The easiest way to spot them is to look for players who play about the same amount of hands as a TAG. This will be roughly 18% to 22% in 6max and 13% to 16% in Full Ring. And they will also have a small gap of 2 or 3 points between their VPIP and PFR just like TAGs. That is where everything changes though. The rest of their stats will often be highly out of line with winning ranges often erring towards the weak side but sometimes too aggro as well such as with the player above. TAGs are generally among the stronger players at these limits. They aren't found in quite the numbers as TAGfish and Nits especially at NL10 and NL25 but they do appear plenty. Their ranges are usually pretty well balanced across all stats and finding huge glaring weaknesses in their game is not nearly as easy as it is with the player types that we looked at before. They still do have a tendency to be a little bit lost on the big money streets (turn and river) at the micros though. This is usually represented by being too weak when facing aggression and barreling far too aggressively when they have the betting lead. Tilt can definitely be a factor as well with this group as it is with all micro stakes players. I don't go out of my way to play with these guys but they are unavoidable at these stakes so you should have a close look at where the holes are because all players at these stakes have them. SLAGs are also among the biggest winners and strongest opponents that you will face at these limits. SLAGs however are found in fewer numbers than TAGs and don't start regularly appearing until NL100 and higher. They are certainly still worth talking about though. Like TAGs, these players generally balance their ranges well and have strong stats across the board. At the micros though everybody has weaknesses. There aren't that many LAGs at these stakes and as mentioned before there are even fewer really good LAGs. They can be among the best or the worst regs at these limits so it is a bit difficult to make generalizations. The player above is an example of a reg who is among the best though. LAGs play a lot of hands and they play them aggressively. This is why they drive a lot of people crazy. But most LAGs at the micros still have some fairly big leaks in their game just like we saw with the TAGs and SLAGs above. Often at these stakes it is because they take the aggression too far in certain spots or get too shy when somebody fights back on the turn or the river. This is indeed the area where nearly all micro regs are lacking though, even the very best ones. They have yet to develop that really solid balanced range in all scenarios that you see in many regs at higher stakes. I hope this article helped show you that all regs at these stakes have weaknesses in their game that we can find and exploit. With the bad regs it doesn't take much effort at all and that is why I will go out of my way to target them specifically. With the good regs you have to dig a bit deeper but there is always something in there that you can take advantage of as well. Effective HUD use is the key. 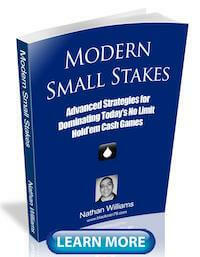 My newest book "Modern Small Stakes" is literally all about how to beat the regs in today's micro stakes cash games. There are over 100 specific hand examples alone about how to exploit each type of reg that you will encounter. You can go find out more about it here. Let me know in the comments how you go about battling the regs at these stakes. What do you think of my categories? Would you add more or delete some? If you enjoyed this article please "Like" or "Tweet" it below! I'm not going to say which player type I think I belong to (!) but would like to ask you a question about how to work on the Fold to Steal stat to lower it. I do take into consideration the opponent's Attempt to Steal and also Fold to 3bet and use that to figure out if I should call or raise instead of folding. But, overall, my Fold to Steal is high because I don't want to play a poor hand out of position. And that's the type of hand I'll usually have in the blinds. So, how do we plug that kind of leak to prevent being exploited by the opponent? I just open up my 3Betting range against regs who open wide from LP which is most of them. 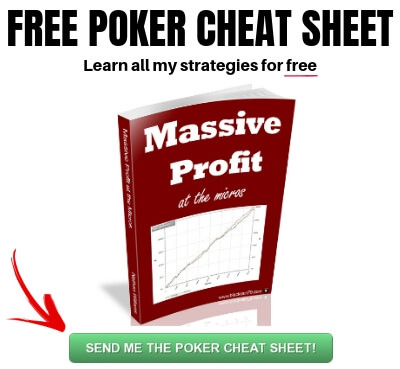 Start by 3Betting a few of the best hands that you currently fold from time to time. Don't try to change your whole game over night. IMO you do not need to polarize your Fold to Steal that much at this lvls because there is only a hand full of people that will notice it. You can plug that leak by choosing to 3-bet the villains that have a high Fold to 3bet stat with a wider range that you normally do. How can regs that generally play loose and triple barrel a lot at stakes where the money comes from people not folding enough be the best regs? All of these examples of how to exploit other regs are how to make them fold. When a ton of regs at NL25 are bad aggressives that are 3betting a huge amount and doesn't fold postflop and very often double/triple barrel bluff. I just don't get why all the examples are trying to find ways to bluff them, when the biggest weakness still among probably most regs is that they don't fold enough. And generally playing loose and barreling 3 streets often at the micros is burning money. If you only try to find ways to exploit them by bluffing, you will lose the best way to exploit some of them. 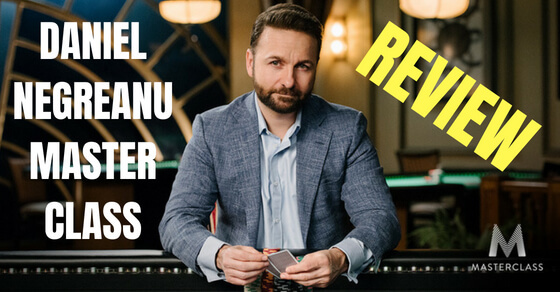 If the title was how to bluff regs it would be two thumbs up, but beating regs is not only by making them fold. It’s often just as much about exploiting their bad aggressive play imo. Also 4bet% and 4bet range are two different things afaik. So if he opens 13% and 4bets only 3% of the time he faces a 3bet. Isn’t that basically aces only? I could be wrong. There are a ton of overly aggressive regs that hate folding at NL25+. A while ago I lost a decent chunk of money only focusing on finding ways I could bluff regs, when really the best way I could exploit a lot of them was by playing tighter pf vs the countless amount of 3bet monkeys and barrelers, so I think it’s important to let people know that bluffing is not the only way to exploit all regs, as I kinda thought a while ago. Hi, BR. Great article. Though in zoom you usually have quite small sample of hands on a person. So river and probably turn stats are meaningless. For sure, there are plenty of calling station regs at these limits. I could have listed a bunch of examples against them where I just check folded but that would be kind of boring and I assume that most people know this already. The reason that all the examples were about trying to bluff regs is because I only picked regs who were vulnerable to being bluffed. A 3% 4Bet is not aces only. It is JJ+ and AK. I believe PT4 calculates the percentage of time that a player 4bet given he has the opportunity to do so. Most of the time the player has already raised PF and he 4bet in response to a raise. If a player has a PFR of 13 and his 4Bet range is JJ+, AK, he should have a higher value then 3%. I use 4Bet ratio, not Preflop 4Bet. This stat gives me the exact range. Oh I see. That's make sense. I don't understand what the difference between TAG and TAGfish. What makes TAGfish so bad? And what is the average loosing rate of a bad reg of say NL10 6max? TAGs have aggressive stats across all categories. TAGfish have weak stats across all categories. The only similarity between them is that they play and raise with the same amount of hands. Most of the worst regs will not lose at more than a couple bb/100. It is only with fish where you start seeing double digit loss rates. I have a question Nathan. I do not know if PT4 have this option but HEM 2 has the option to use a different HUD for every street. I wonder if it is not much easy to follow only 2 lines of data than 5. That is an interesting idea. I am not sure if this option is available in PT4. "There are tons of these kinds of players at NL2 and NL5. At NL10-NL100 there are less"
Within HM2, HUD settings, HUD filters, we can see: "include hands newer than x months old"
So it only displays the hands played over the last x months. You know, it may not make sense to keep 4 -year-old stats on your opponents; It's better to have fresh info than old and inaccurate stats. There's a reg who used to 3bet 10%, but now it's only 3.5% over the last 4 weeks. AS you can see, it's very important to set this option correctly. My HUD is set to 2 months. I was wondering whether It's optimal or not. Great article. I know I am still in the TAGfish category but I am working on it. Your blog helps a lot. Can't wait for your new book! In the article I said that both SLAGs and TAGs are generally the biggest winners at these limits. There is quite a big difference between this and what you interpreted me as saying. As to why they win I disagree with your assertion that these stakes are full of calling stations. Five years ago they were. In 2013 they are full of weak tight nits and pseudo TAGs. Hey Nathan sorry to bother you but its been going on three weeks since I ordered your book and have yet to receive it. Is this delay normal? Thanks in advance. I will send them again to you. Hello sir,i wondering where i can see your results playing these days at micros.I mean about your yearly results(2013).Dont wana be rude or something but game change a lot as ou know thank you! I do not post my results very often anymore. I have made them public for years and years and it is nice to keep some things to myself once again. More importantly though I just don't grind like I used to so the samples are not huge anyways. I may post something around years end though. So after revamping my preflop game and 3/4betting a lot more, I realised I need a strategy to deal with frequent 4bettors. But I just can't bring myself to shove anything other than AA. From my experience it just isn't profitable even with KK. It just seems that if two players are all in pre, one of them has the aces, so if it's not you, it's the other guy. You recommended 5bet shoving wide in some spots so you must have some reasoning for doing so but I just can't wrap my head around it. Certain regs at NL25 will have a 4Bet range which is quite a bit wider than just AA or KK. More and more regs demonstrate this ability as you move up. Obviously it is even more prevalent if you play 6max. It also depends on how you play and/or any history that you may have versus your opponent. As always, people who give action get action. A NEW BOOK? GO NATHAN! This post is from Nov of 2013. That new book mentioned was MSS. I currently do not have any plans to release another book. I have read all of your books and posts and have seen huge benefit, thank you alot. 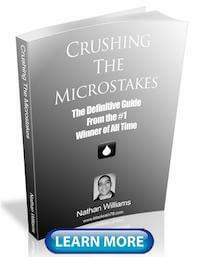 1) In your book, your book and videos your main advice is to fold when see aggression at the micros. But then in this post, you call these kind of players as weak. I mean, the players who folds flop or turn raies alot. 2) Also, what you advice in the book is not to put a penny more into the pot, if you dont have top pair by the turn. Due to the fact that we dont have a top pair by the turn most of the times, what i understood earlier was i should not bet. 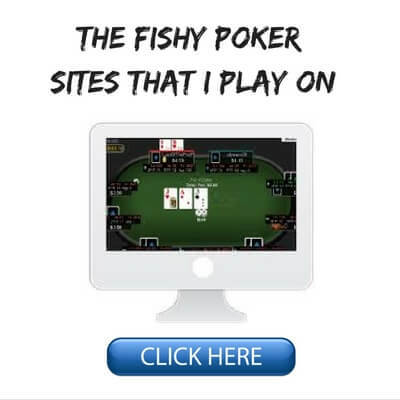 But in this post, when you see a big drop between flop cbet and turn cbet, you call the fish. So, i'm a little bit confused.. I am glad that my books have helped you! 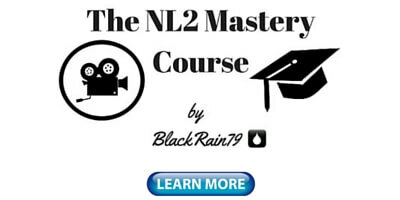 The reason for the difference here is that my first book Crushing the Microstakes is aimed at NL2 and NL5. Therefore, many complete beginners are reading it. So this is why I suggest a very simple style of play that involves folding a lot to aggression and pot control. This is meant to keep beginners out of trouble. The other thing is that at these limits you do not need to battle the regs to get every last penny out of them. You should be focusing on the fish. 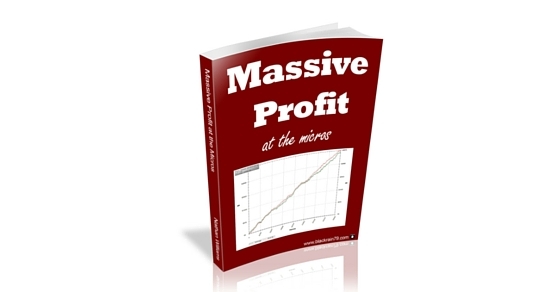 In my second book though, Modern Small Stakes, I do talk much more about how to identify and exploit the regs because it is aimed at higher stakes (NL10-NL50). This article is also aimed at those stakes. By these stakes I assume that most people aren't beginners now and understand the fundamentals. So finding the weak regs and learning how to exploit their weaknesses is something that they should be learning. It is also more important because there are less fish at these limits. OK, is 20-25(WTSD) usually good for most of Post-Flop attacks? Yes, these are the types of players who I prefer to run bluffs more often against. It is still important to consider the situation, what hands you are representing, any history with the opponent etc. though. This post is from Nov of 2013. That new book mentioned was MSS. I currently do not have any plans to release another book." So, though I understand that to some extent you publish "evergreen" content, it would be beneficial in my opinion if you would choose to publish article dates, with all publication dates in a format that includes year. I had actually looked for a pyblication date on this article prior to reading that comment and your response.